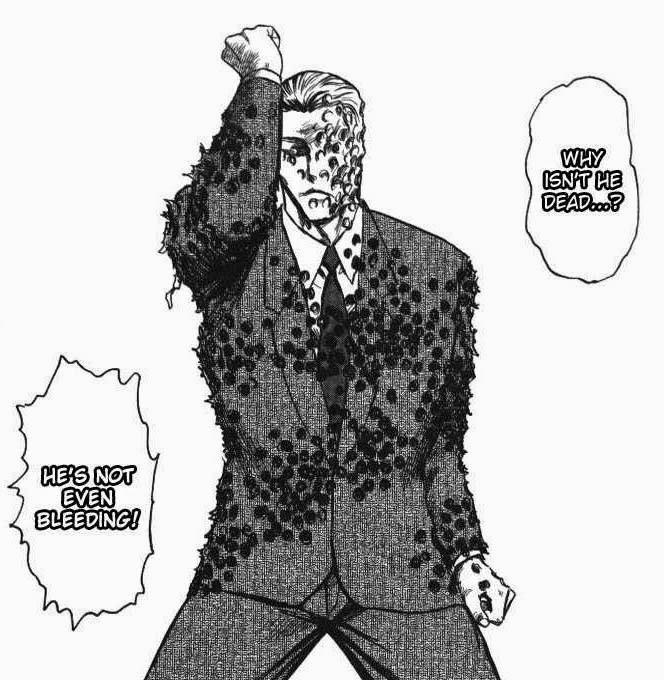 Warning: One of the mangacaps may trigger trypophobia. 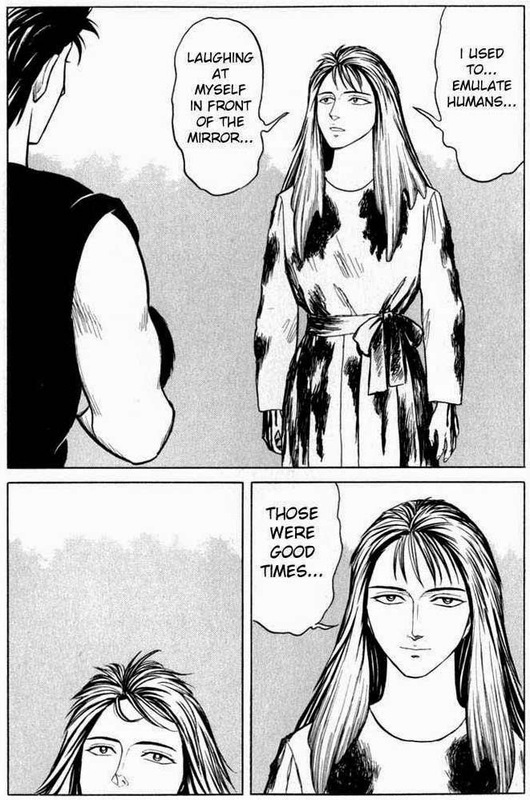 Oh, and just a random note but I was listening to the Engravings album by Forest Swords while writing this and wow, it totally suits the manga. 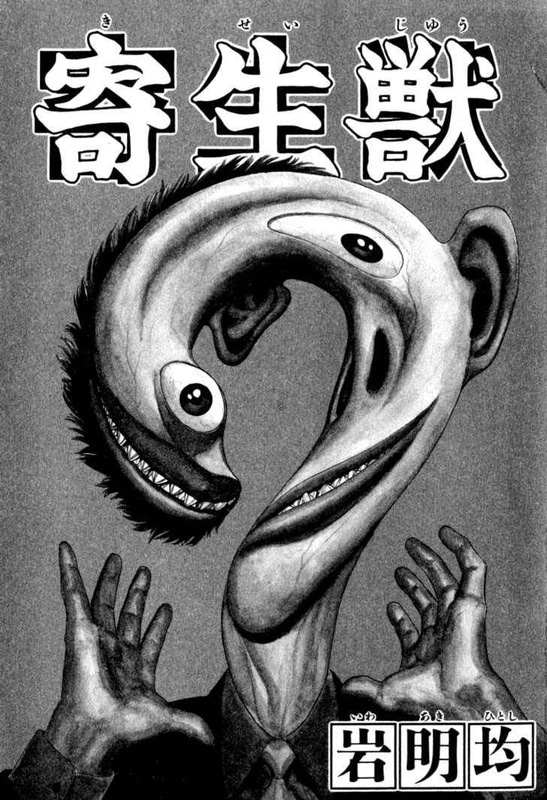 With all the craze about Parasyte lately, I figured it would be fitting to revisit the roots of this sci-fi masterpiece. 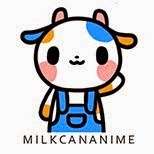 Also known as Kiseijuu (寄生獣), it ran from 1988 to 1995, which means that you can expect rather old school art and characters sporting retro fashion and hair. Personally, I'm kinda into that stuff. Let's get started with a plot summary! 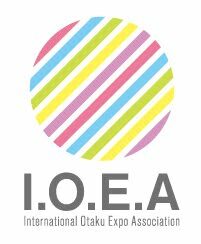 The main character is Shinichi Izumi, a 17-year-old student who lives in Tokyo with his parents. The story begins when alien creatures called 'parasites' arrive on Earth. 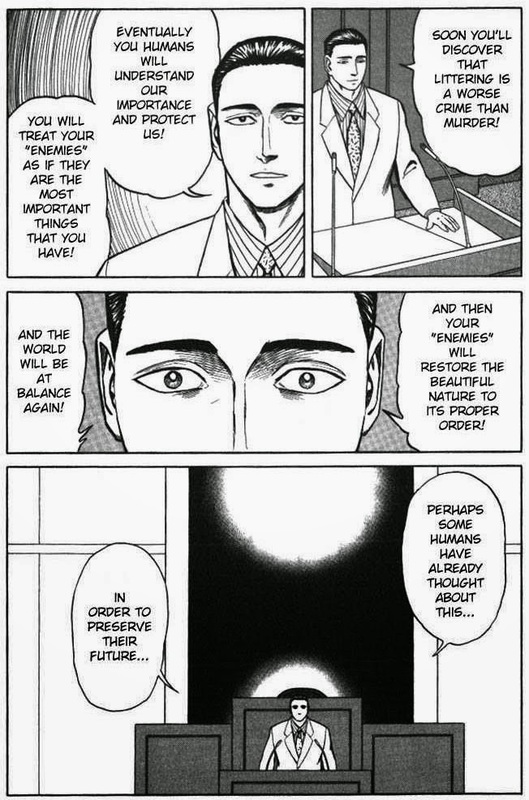 It is stated very clearly from the beginning of the manga that these parasites have been "ordered" to save the planet by exterminating humans. They inhabit human hosts by entering their bodies and taking over their brains, and feed on other humans for food. 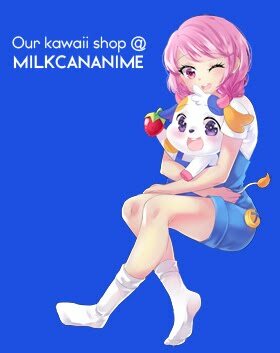 Once they're inside a person, they are able to exhibit superhuman strength and agility, as well as shape shifting abilities. 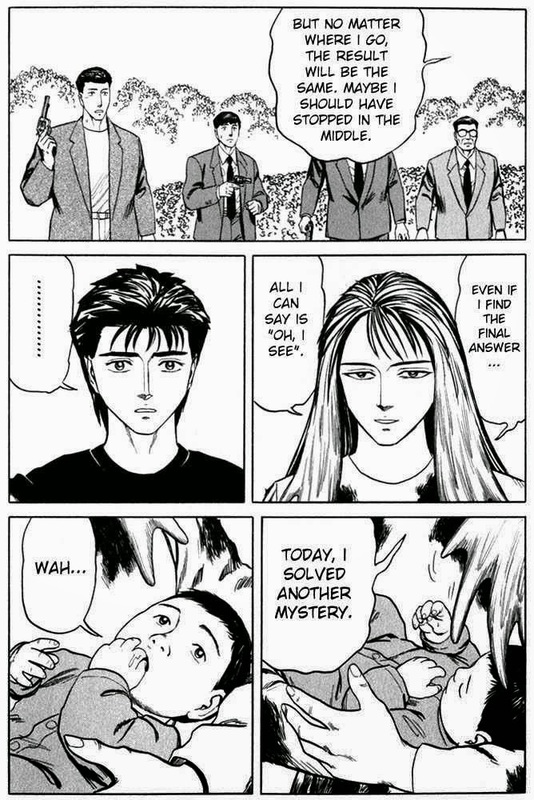 One of them tries to enter Shinichi through his arm, but fails to reach his brain. 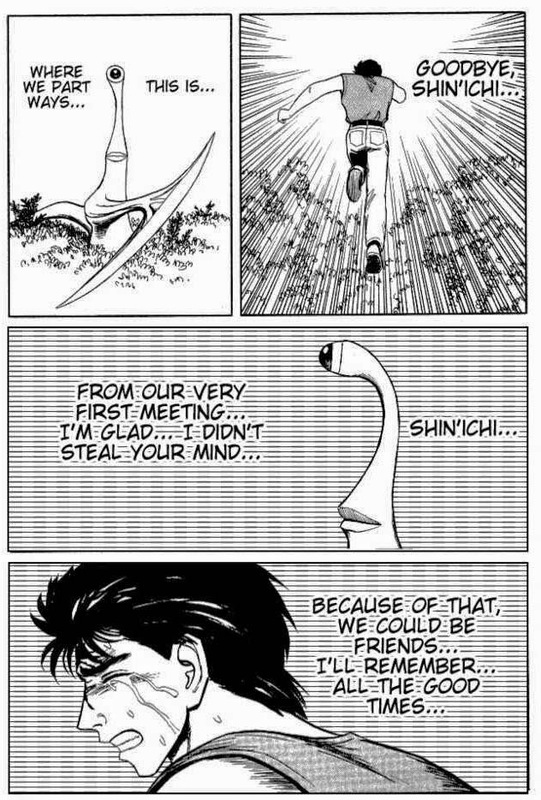 Hence, both Shinichi and the parasite, later on named Migi, retain their individual minds and are forced to co-exist in one body. 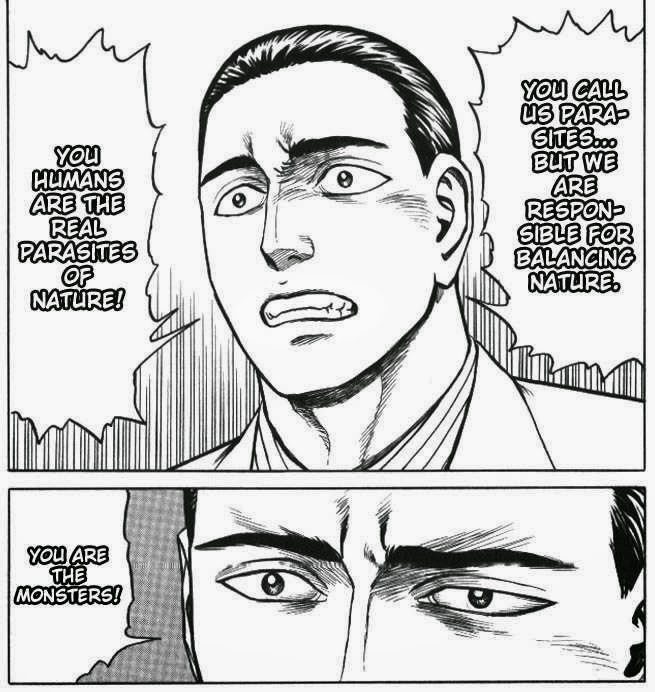 In my opinion, parasites are like humans in their purest form; being unblinded by moral beliefs, "good" emotions like love and altruism and free from the restrictions of modern social culture. When faced with these kind of beings, we become scared and want to drive them away. Yet, they are still so much like us with their intelligence, ambition, and desire to find a purpose for living. Watching them struggle to find a place in the world makes you ponder on the contradictions of society's laws, and what we need to change about ourselves to truly peacefully co-exist with all other living beings. 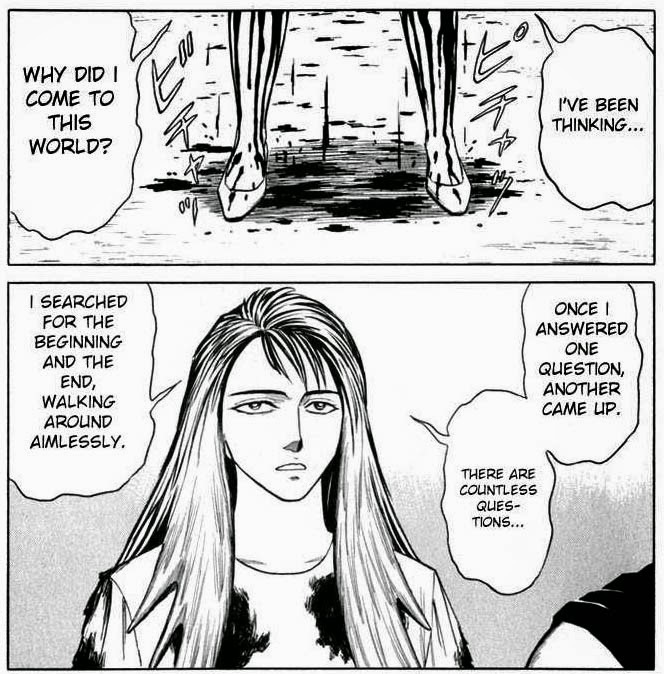 This becomes increasingly stressed on through the chapters, with one of the earlier examples being Migi's quote: "You have the right to live, and so do parasites! "Rights" are not only reserved for humans!" It's almost enough to turn me vegetarian. 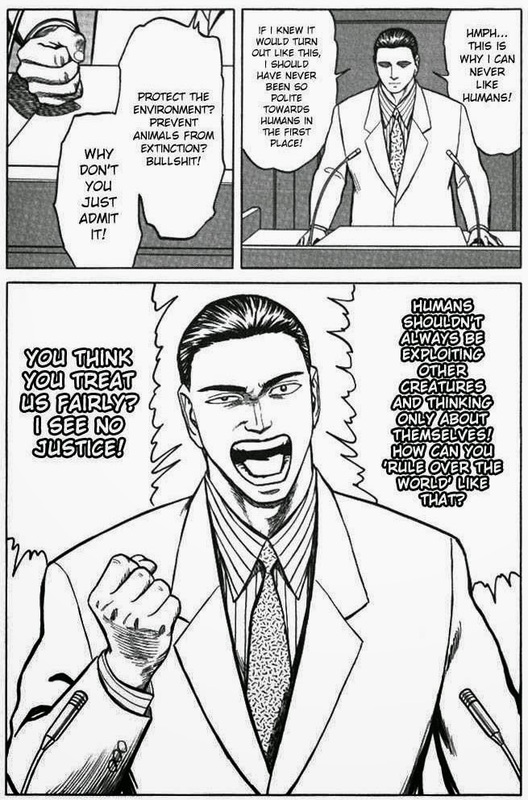 Another interesting philosophical theory; just because someone poses a danger to you, does that justify killing him? I guess if you take it to the extreme, you can extend this to serial killers but that's probably a bit TOO extreme. 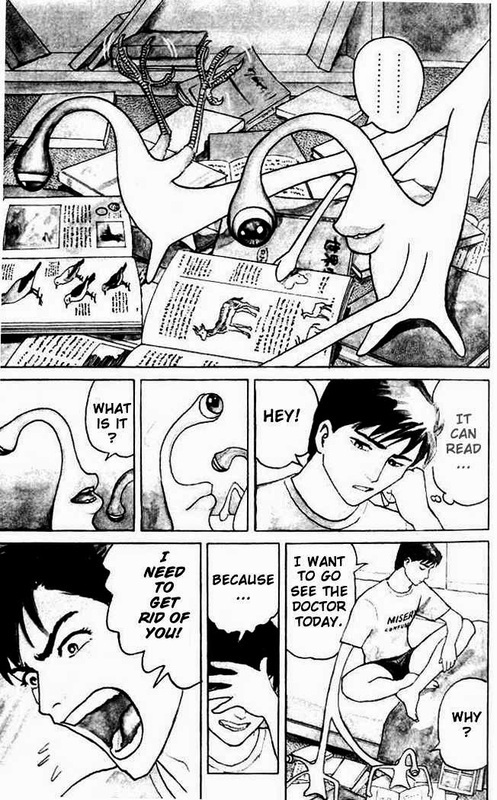 Migi is a fascinating character. 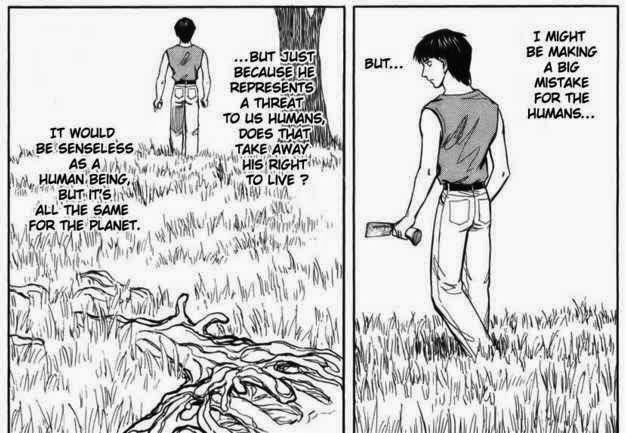 The story depicts parasites as emotionless, "moral-less" creatures who function on pure logic, which is exactly what Migi was in the beginning. As the plot progresses, he starts to exhibit more human-like traits and reasoning. 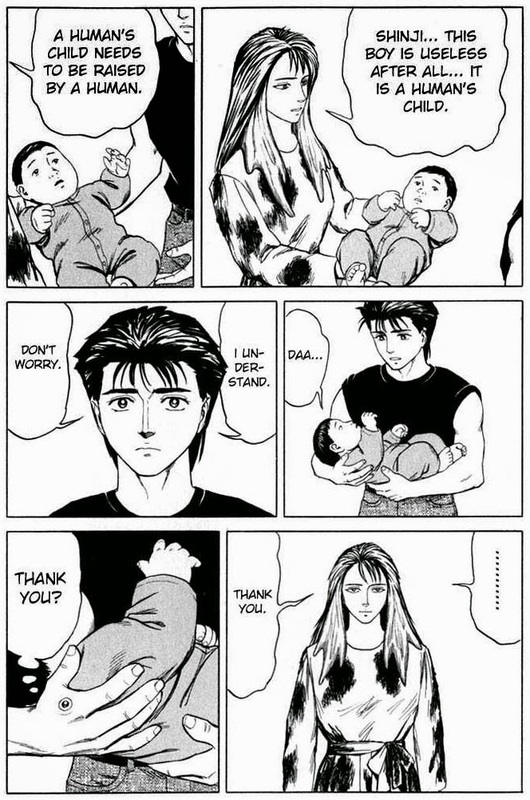 It's interesting to analyse why he became like that: Was it only a biological effect since he is connected to Shinji's body or was he moved and consequently influenced by Shinji's kindness? 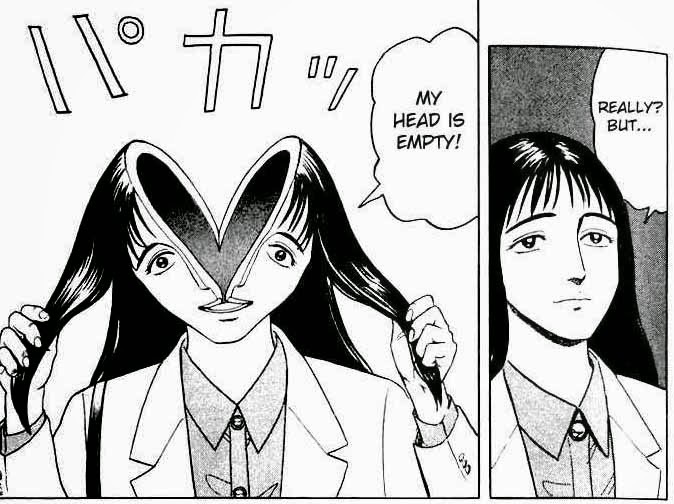 If that's the case, it would prove that Migi was capable of feeling emotions all along, making him no different from a human being. 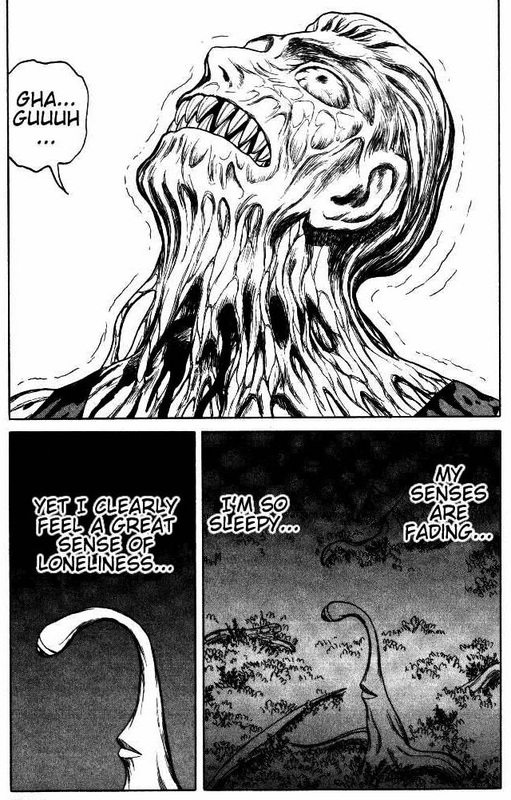 Furthermore, I think that it is intriguing that Migi's character resonates so strongly with the readers. In a way, he was even more human than the rest of the cast because of his honesty. Having no morals didn't seem to make him bad or evil; ironically, it made him pure. 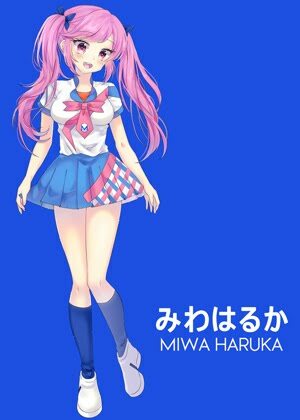 Tamura was another parasite that went through a lot of character development. And this scene freaking killed me, it was so sad. Plot: 10/10 – You know what, no matter how phenomenal a manga is, there will always be something to improve. But in this case, I feel that the plotline was a perfect 10. Creative, interesting, believable – it's a horror story with substance. Characters: 7.5/10 – Truth be told, I actually wasn't annoyed by any of the characters. Woah, could that be a first?! Who knows. 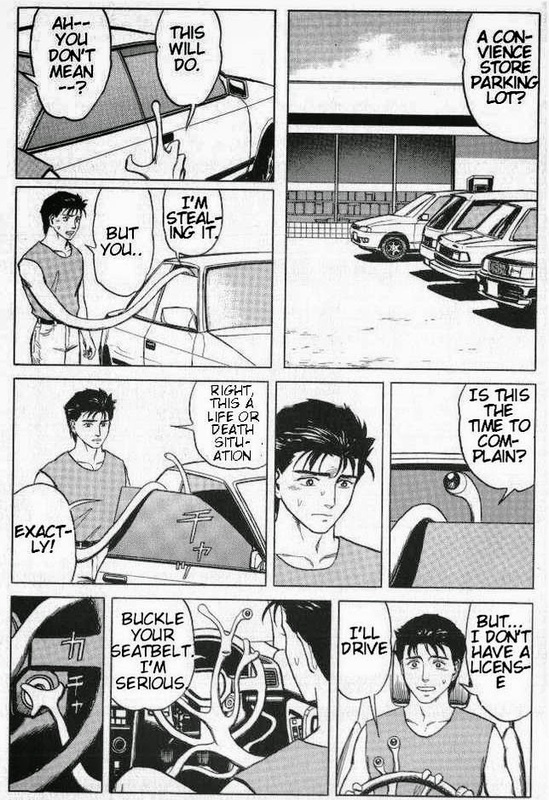 But the cast is pretty good on average, with the mains, Shinji and Migi, being blatantly cool and awesome. 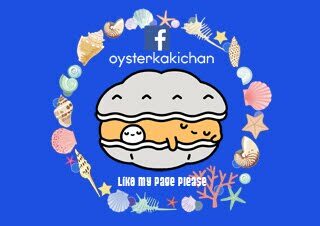 Personal enjoyment: 10/10 – So, so entertaining. This is actually my second or third time reading it back-to-back and it is STILL interesting. 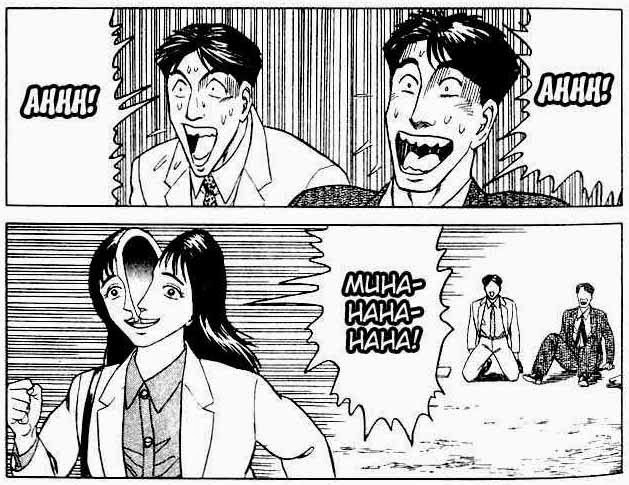 Overall rating: 10/10 – Yep, I proclaim Parasyte to be a masterpiece. 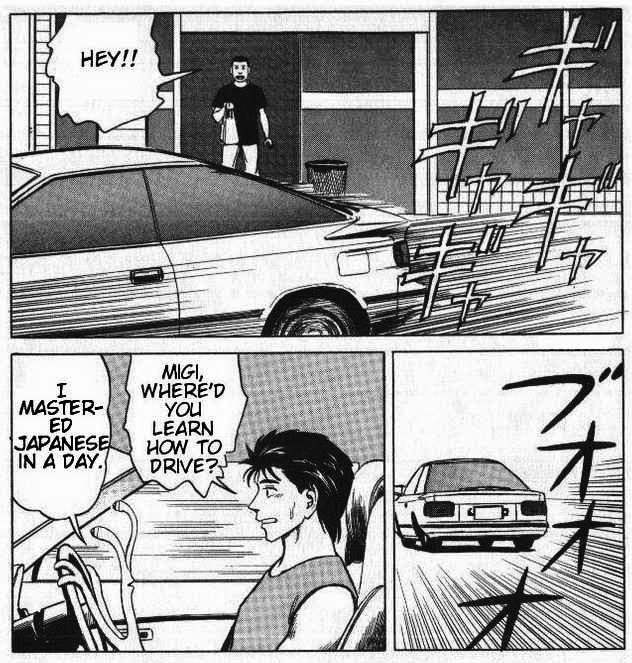 It also won the 1993 Kodansha Award for general manga, and the 1996 Seiun Award for best manga of the year, in case you're still doubting me. I'm really happy that Parasyte has an anime series now, plus live action films in the making/showing! 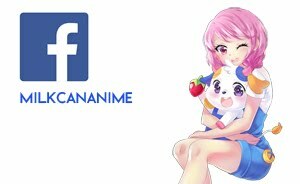 If you're currently watching the shows, try picking up the manga some time in the future. 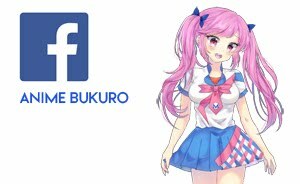 I guarantee you won't regret it. 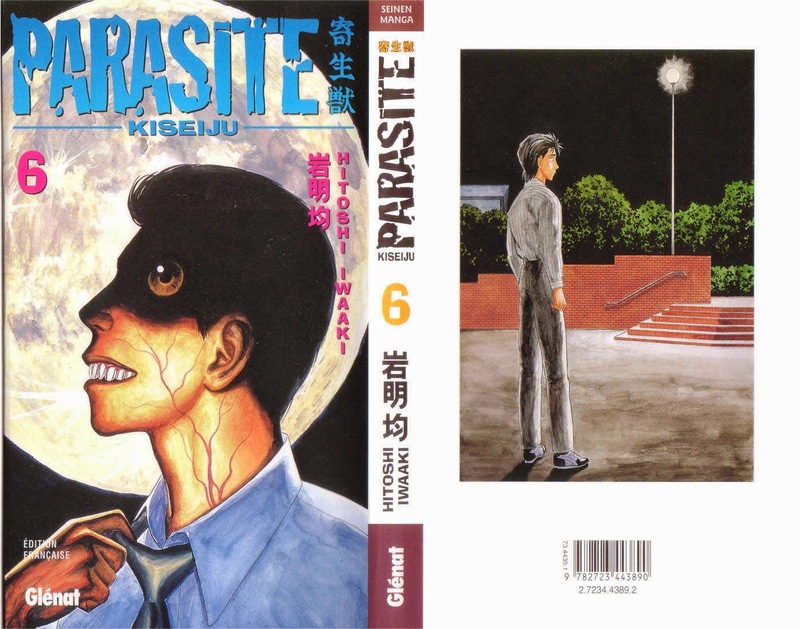 No Comment to " Old School Horror: Parasyte Manga Review "